of treating pain is heat and cold therapy. Pain treatment starts with the most basic. health care practitioners follow the WHO pain ladder. 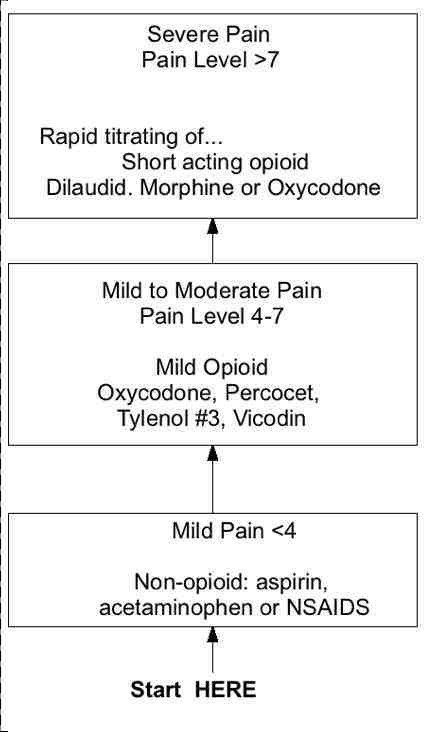 Go to the bottom of the ladder to start pain management. What is not listed here is a novel approach to pain mediation. Some are finding relief from using cysteine to boost their glutathione levels. This works on all types of pain for some people. There is not a lot of hard scientific research on this. However, it is holding promise for many.